hd00:17Healthy summer food. Assorted delicious grilled meat with vegetable on a barbecue. 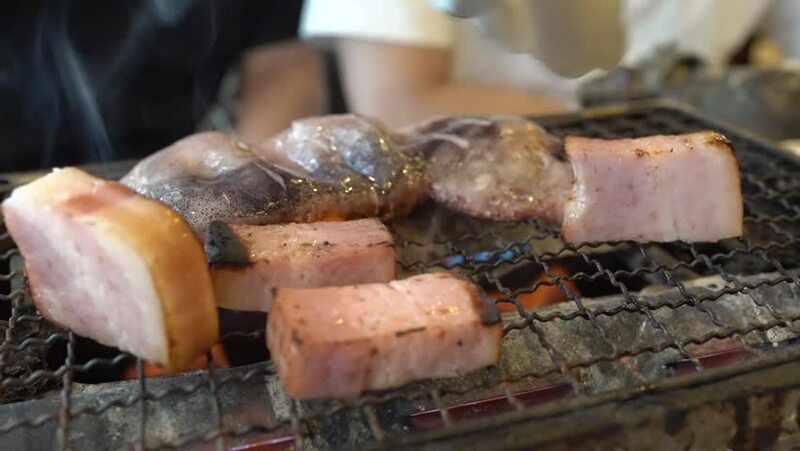 Appetizing mushrooms on the grill surface. Picnic grill concept. Happy people having camping and bbq party outdoor. hd00:15Modern ice cream automatic production line. Automatic equipment at the food factory. 4k00:12Motion of waitress cooking bbq meat for customer on table inside Korean restaurant with 4k resolution.